Blending pure plant oils and extracts, Trilogy Cream Cleanser delivers soft, clear, completely clean skin and gently removes eye make up. Including nourishing rosehip and evening primrose oils and aloe vera to moisturise and soften your skin. Trilogy Cream Cleanser is a true beauty product; it does more than just remove makeup and impurities from face and eye. Its emollient action leaves skin supple and is the perfect preparation for your skin, morning and night. Formulated with advanced natural ingredients including evening primrose, certified organic rosehip oil, jojoba, and carrot, Trilogy Cream Cleanser is ideal for refreshing, restoring, softening, soothing, conditioning and nourishing. Gently massage small amount of Cleansing Cream over the face and neck. Rinse with warm water (for best results we recommend the use of a face cloth) and pat skin dry. I had the sample size and absolutely fell in love with the product so purchased the full size. I use it once a day in the morning, sometimes at night as well depending on how my skin is feeling it if I wore makeup. It leaves my skin feeling clean and very soft. Will definitely repurchase and highly recommend to all. This is a great cleanser for dry skin. It cleanses without stripping and makung my frace feel dry. It's very comfortable and removes lightweight makeup. Love this cleanser. I usually go for foaming cleansers but this Trilogy cream cleanser leaves my skin so much softer. 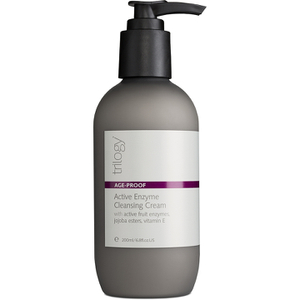 Removes all make-up and feels very gentle and nourishing. Gorgeous fragrance too. This is a great cleanser that gently but effectively removes make-up, including eye make-up, and leave skin feeling soft and supple. I have tried a range of cleansers at much higher price brackets and yet have found none to be as simply effective and caring for the skin as this one. I am a huge fan of Trilogy products and recommend them to all. 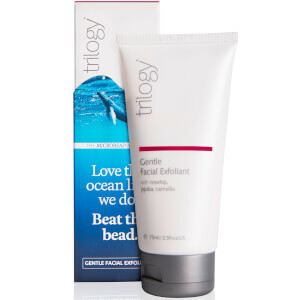 This cleanser is another exceptional product from the excellent Trilogy range. This is a fantastic cleanser removes all my Makeup including eye makeup very easily. It's great for those with dry skin which is what I have after your skin feels so moisturised and not dry and tight which is what I get with other cleansers. this cream cleanser is really lovely to use, really creamy and light at the same time. leaves skin feeling soft. however, it doesn't remove make up very thoroughly, so i usually have to follow up with a cleanser too. This Trilogy Cream Cleanser is such a tonic for your skin. 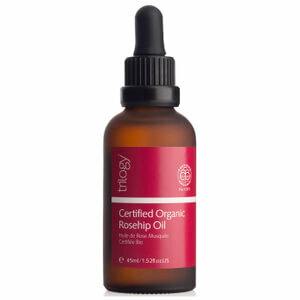 I don't like serums as they feel sticky but this oil soaks in quickly and is great under moisturiser if skin is dry. Love it.